Here’s how to fix some problems that might occur when you make your sourdough, as well as some advice for optimizing its use. Check the temperature of the room its sitting in. Too cool an environment can slow the process down. It also sometimes happens that the sourdough may need a little more time to fully wake up. In that case you can repeat stage 4 of our method by keeping 25 g of the mixture and feeding it with 100 g of flour and 100 g of water. When sourdough is not suitably fed, a coating of brownish or black liquid may form on top of it. That doesn’t mean that your sourdough is finished. Just mix everything with a spoon or a fork. Once it’s well mixed, all you need to do is feed your sourdough once again for a recipe to be made 12 hours later. It’s a sign that your sourdough’s hungry! Just put aside 25 g, add 100 g of flour and 100 g of water. That should have it back in top shape. 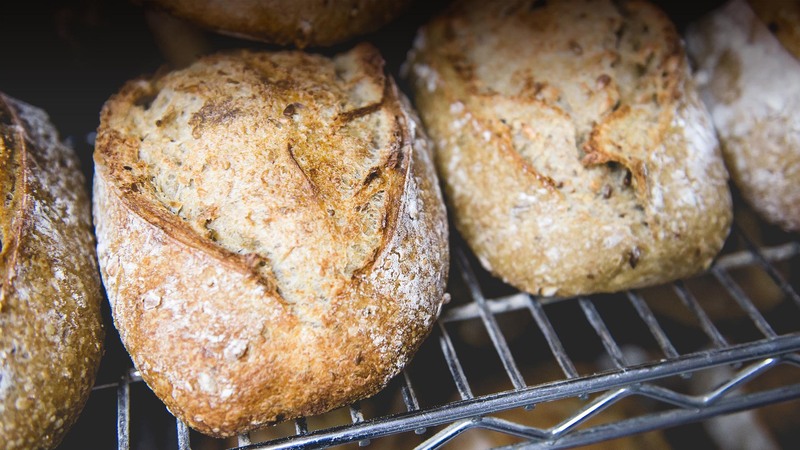 In general, freshly fed sourdough needs 12 hours to be ready for use in a recipe. At that point it will start to produce bubbles. In certain cases, it might be ready sooner (in warmer temperatures, for example). It’s extremely rare for mold to form, since the yeasts and bacteria in sourdough that’s in good shape fight them off, but all the same it’s possible. If the infected area is minimal and well defined, remove it, feed your sourdough, and observe it well. If the mold has disappeared and the sourdough seems normal, then you’ve saved it! If the mold is too widespread, you’re better off throwing out the whole thing and starting over from the beginning with a new sourdough. This entry was posted by boulangeriedesroAdmin. Bookmark the permalink.